Samsung is scheduled to unveil the Galaxy S10 lineup at its “Unpacked” event next month. However, that doesn’t appear to affect the job of leaksters, especially the famous Evan Blass aka evleaks. On Twitter, evleaks shared an image containing the three upcoming editions of the Galaxy S10. 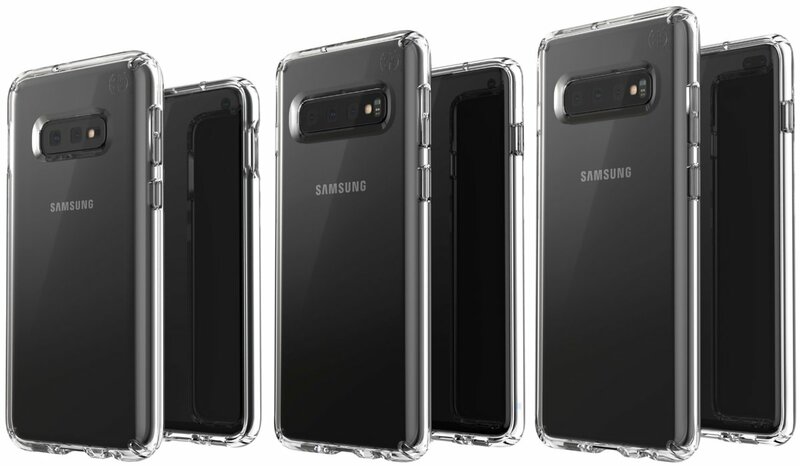 Previous leaks and reports have (sort of ) confirmed the names of these devices: the S10, the S10 Plus, and the S10E. The Galaxy S10 and the Galaxy S10 Plus will feature all the latest tech and design innovations the company has been working on for the past year. The notable mentions include – a hole punch display, in-display fingerprint reader, and a curved OLED panel. Whereas, the S10E will be a lower cost version of the Galaxy S10 without all the niche features. Is it plausible to talk about smartphones without talking about the cameras they feature in 2019? Since the release of the Google Pixel, the smartphone camera has changed completely. Prior to the Pixel, the iPhone’s camera was unmatched by another; it was the king. However, times have changed and cameras are getting so good and to entice buyers, the smartphone manufacturers have to offer something fresh. From the image evleaks shared, it can be noted that, the two phones sport three cameras on the back whereas the other sports just two cameras. According to Blass, the phones with a set of three cameras are the Galaxy S10 and the Galaxy S10 Plus, and the two-camera setup phone is supposedly the S10E. It’s unclear as to what exactly the third camera will be used for, as the Pixel 3 and the Pixel 3 XL take excellent shots with just one camera on the back. Also, majority of the tech reviewers have said that, in their experience they were able to click great consistent shots with the Pixel.